Hello, and welcome to my Super Friends deck! The following list is a work of nearly a decade. I started building this beauty back in 2012, right after the first wave of prepackaged Commander decks came out. For a long time I kept this list strictly Foil, with zero non-foil cards making the cut. 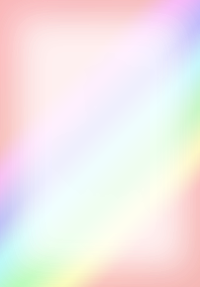 After keeping it that way, and acquiring the most (or nearly most) pimped out versions of the cards for years, I decided to try and make it a touch more competitive. The first thing on the list was Humility, which is probably the single best card in the deck. Sadly it is reserve list, so I was never going to get a foil copy, unless I proxied it, or got a foil peel alter. Second was Teferi, Temporal Archmage, and lastly the true ABUR duals. Running with just a fetch shock mana base made me hemorrhage life points and lose close games where I was just a turn or two away from turning the corner. This is a combo deck. The main combo is Doubling Season and walkers that ultimate the turn you cast them. Such as Ugin, the Spirit Dragon, Samut, the Tested, Tamiyo, Field Researcher, or Jace, Architect of Thought. Secondary was The Chain Veil and Teferi, Temporal Archmage or Tezzert, the Seeker, and Garruk Wildspeaker or Ral Zarek to get infinite walker activations. With the printing of Oath of Teferi, we now have a third combo engine. Oath plus a Time Warp effect will allow us to ultimate just about any walker in the deck before we have to pass the turn. We have a little mana ramp, a little bit of counter magic, and a lot of board wipes to hate on creatures. Winning with this deck basically comes in the mid game after we have wiped or controlled the board of critters, and then assemble our planeswalker rube goldberg machine. 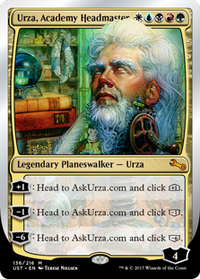 The Commander is listed as Urza, Acdemy Headmaster. But Really I have a pile of 5c leaders which include, Ramos, Dragon Engine, Progenitus, Urza, and now Jodah, Archmage Eternal. I was hoping for a new 5c walker in the 2018 precon Commander decks, That way I could have a true 5c Planeswalker Commander. Guess I’ll just have to hope for their appearance at the commander product helm. This deck is pretty tuned to the way I like it, it is unfortunately more of a collectible then a game piece, as I don't break it out often. That being said, I am not infallible, and will listen to suggestions. I am not certain if it is correct to not have a copy of Swords to Plowshares in here as an example. Hope you all like it. Hit me up with questions or comments! Please give me an upvote if you like it! Here is a link to a video which is current as of m19. Hello, hello, hello. I got another Mythic edition. This one was not quite as sweet as the last, but I was excited to jam new full art Dack and Tamiyo! I am also going to try out Smothering Tithe, cause it might just be the best mono white card in commander, and an Emergency Powers. I've been wanting to try a draw 7 for a while. This one cost's a lotof mana, but I can cheat a big fattie into play. Unlike Time Spiral, it does not have bad synergy with fast artifact mana.